Beauty indeed lies in the eyes of the beholder.However,this need not be a costly adventure. 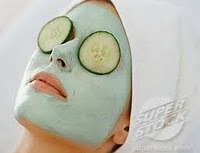 Skin care can also be enhanced through the use of tomato pulp,and honey,each applied separately or on alternate days. make a mixture of 1 egg,1/4 avocado,and 3 tablespoons of tomato pulp. To avoid having weak nails,it is recommended that one does a manicure at least once per week. For those who suffer form a bad mouth smell,you could try gurgling your mouth with baking soda mixed into water ;then finish off by brushing your teeth. All the above home beauty tips can be undertaken in less that 2 hours.